Do you struggle with finding time to sew? Does it seem like time slips away before you can even begin a project. Today, I’m continuing my series on Finding the Time to Sew. 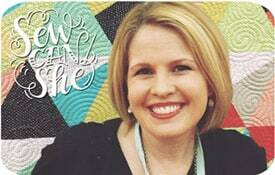 Please welcome my very dear sewing friend Caroline Critchfield (aka Sew Can She) and find out how Caroline Finds the Time to Sew. Below is an interview I did with Caroline. But first, a little info on my friend. A few years ago I met Caroline (and Sarah) at Quilt Market and we quickly became friends. 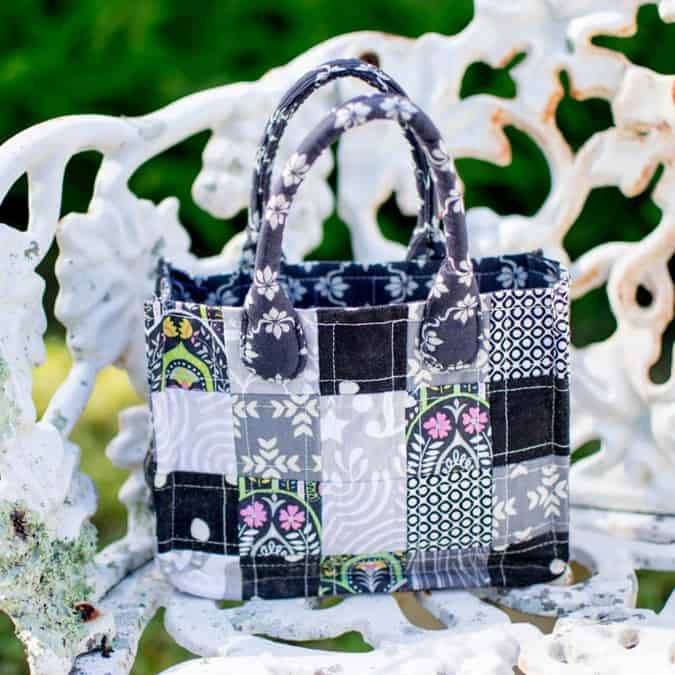 Caroline’s blog, Sew Can She, offers daily doses of sewing inspiration that will inspire you to celebrate your own creativity! Note: My interview with Caroline was done through a series of questions. I’ve listed the questions in bold and Caroline’s responses below. 1. How long have you been sewing? Is there any particular reason why you started sewing? Don’t ask me when I started sewing – I really can’t remember. It’s like eating or drinking, I must do it to survive! 2. 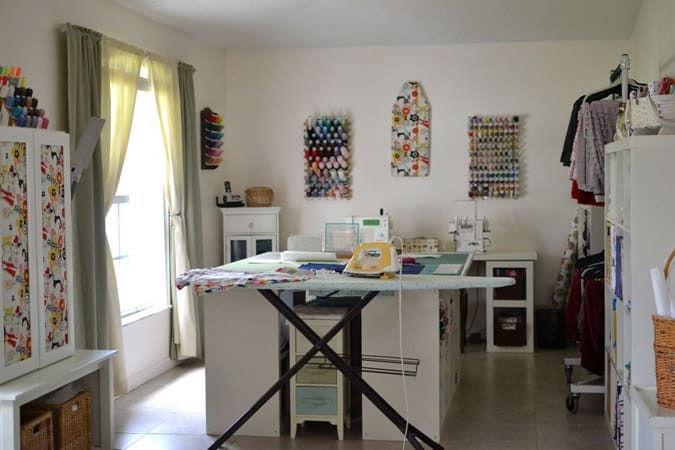 What types of sewing projects bring you the most joy and why? I have so much fun sewing quilts, clothes for my kids (and myself), and all kinds of ‘crafty little things’ to make our lives more interesting. 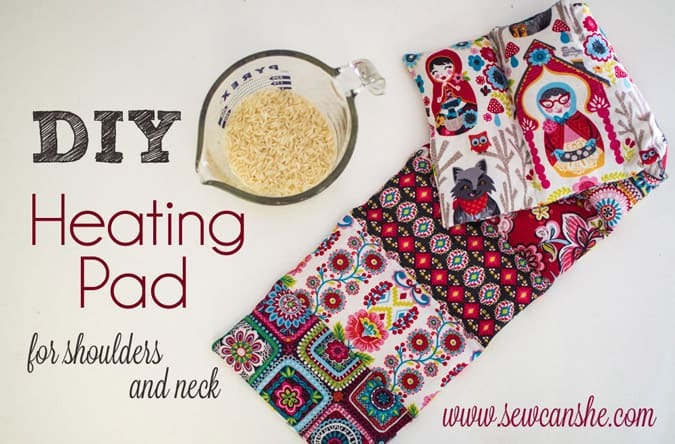 I really can’t stick to sewing one kind of thing – I love to sew all things! 3. How do you make time each week to work on these projects? I struggle more with finding time to cook or clean…the sewing just happens. 4. How does your stage of life help or hinder your ability to find time to sew? I’m a stay at home mom of four kids in elementary school. I spend a lot of time in the car driving to and from school and activities, but I’m lucky that I can sew while they are at school and sometimes at night. As much as I can, I try to interest them in what I’m doing and let them try. I love it when they want to hang out in my sewing room with me. 5. If you sew as a business, how do you find time and energy to sew for yourself as a creative outlet? My day job is my family – they are what’s most important, and what will always come first. SewCanShe and other opportunities that come along (like designing projects and writing books) are my creative outlet and my side business. I don’t accept requests unless I sincerely want to work with someone or design the project they would like. Lately, I’ve been letting my own interests and my family’s needs determine what I sew, and I love it (we need a lot of quilts – ha!). Thankfully, it seems that my readers are interested in the same things I am! And to all of the people who ask me about hemming, alterations, and custom couch cushions: I don’t sew for money, but I can refer you to someone who does. It really shocks some people that I would say no to $10 per cushion, lol! 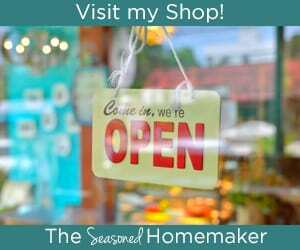 Read my opinion on the value of handmade here. 6.What tips can you offer to other sewists who want to find time in their lives to sew as a creative expression? Funny thing, my friend Sarah and I wrote a blog post together about this last year. It’s a little bit satirical – but a lot truth. Check it out here. 7. Anything else: A personal story about sewing, where you buy fabrics, or your best sewing tip. 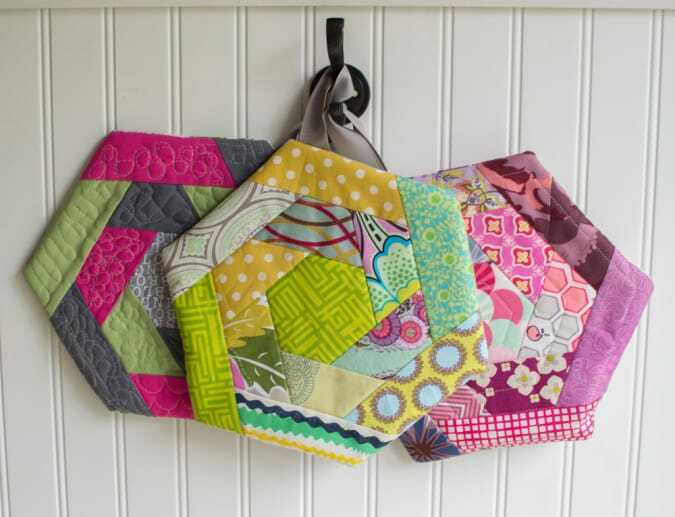 Never call a quilt a blanket – Quilts are made with love, blankets by machine. If the stripes don’t match up on something, it was probably made in China. 8. Please list the ways readers can find you online. Thank you, Caroline, again for sharing your talent and passion for sewing with all of us! I love this – I have four kids as well, but I homeschool, so the available day time to sew is almost non-existent right now. I like to find time to sew on the weekends or evenings when my husband is here to help with the kids, or when they take an afternoon nap (this is not something that happens during the week). I also like to focus on sewing for my own family and make quilts a priority. There is something about a quilt that feels lasting to me – they comfort, they protect, and they can be passed on. I still have a baby quilt that was mine, made by an aunt, and it is just beautifully done. I have used it for three of my own children as they were little, and will save it for grandchildren if I ever have those in the future. As a former homeschool mom, myself, I completely understand. 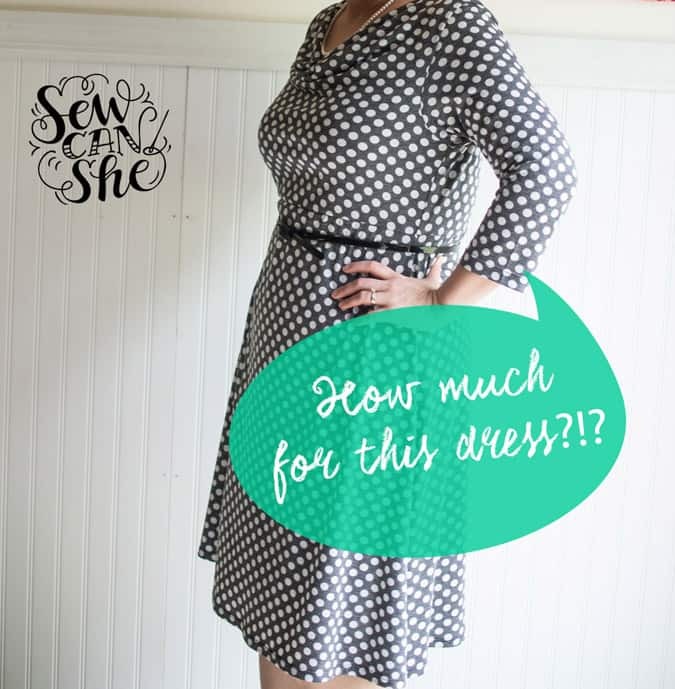 Come back on Wednesday, I may have something to help you get more sewing done in 2016! What a great idea! I love seeing how different a patterns look like, which made up in different fabrics.